Do you love eating authentic Italian food? If your answer is yes, then you should know that you aren’t alone. After all, Italian cuisine is among the most cherished and well-known cuisines around the world. However, to understand Italian cookery, you need to learn some essential vocabulary so that you don’t look confused when you walk into an Italian restaurant. Some of the Italian cooking terms and phrases are a bit confusing, and you need to be careful with your words to get what you ordered. Understanding some of these common terms will also help you with your own recipes. To help you navigate the Italian recipes you may find anywhere, we created this Glossary that explains the most common Italian cooking terms that you should know. In Italian, the word “cacciatore” means hunter. However, when it comes to Italian recipes, the word means hunter-style chicken. In most cases, the Italian dishes that include cacciatore are prepared with herbs, wine, onions, tomatoes, and peppers. Arancini translates to “little orange” in English. This is the term that is usually used to refer to the delicious risotto balls that are deep fried. In traditional Italian cooking, the risotto balls are usually stuffed with a lot of ragu, peas, and mozzarella. However, modern Italian chefs prefer making the risotto balls with all sorts of combinations. Do you love ordering authentic Italian meat in an Italian restaurant? Then you need to understand the fact that the meat is prepared using the arrosto morto technique. This is a meat roasting technique that combines both dry and wet cooking. The meat is first browned in butter or oil then braised in liquid. The braising in arrosto morto technique is usually accomplished by adding a small amount of liquid at a time. This is done repeatedly to keep the meat moist. This term is usually confused with the popular pizza topping pepperoni. 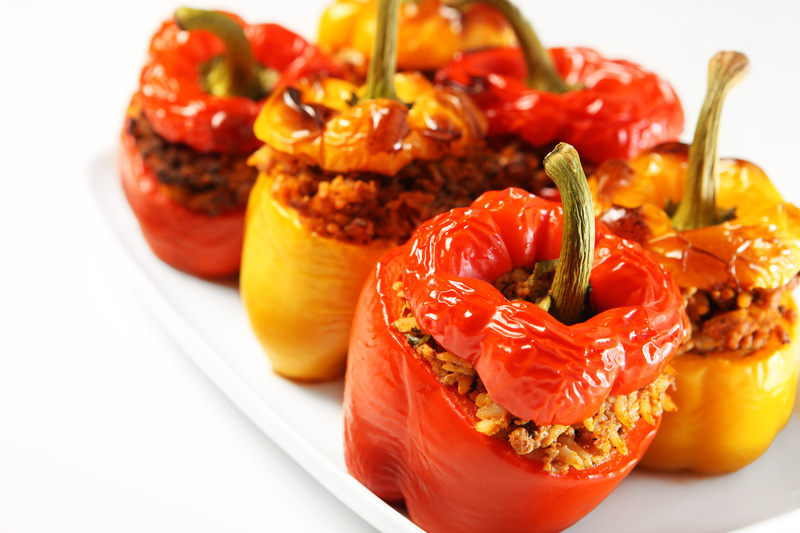 However, peperone is a different term that is used to refer to peppers. The singular form of the word is pepe. Therefore, if you have only one pepper, you say pepe and not peperone. You need to be careful the next time you order your pizza pepperoni. The term Bianco literally means “white’ or “in white” when you are referring to “in Bianco.” These two terms are used interchangeably to describe the tomatoless version of an Italian dish. For instance, if you enter an Italian restaurant and you order a pizza Bianco, you will be ordering for a pizza that is made only with cheese. On the other hand, Lasagne in Bianco means that you want Lasagne made with vegetable, béchamel sauce but not ragu. Al Dente is a common term that you will mostly hear when an Italian chef is cooking pasta. The literal meaning of the word is “to the tooth,” but the term is used to mean that the pasta should have a “bite” left to it after the cooking. The term is also used when preparing vegetables which are another essential ingredient that shouldn’t be overcooked.